Monotype on Hand-made paper. 19" x 13"
Monotype with watercolor on parchment paper. 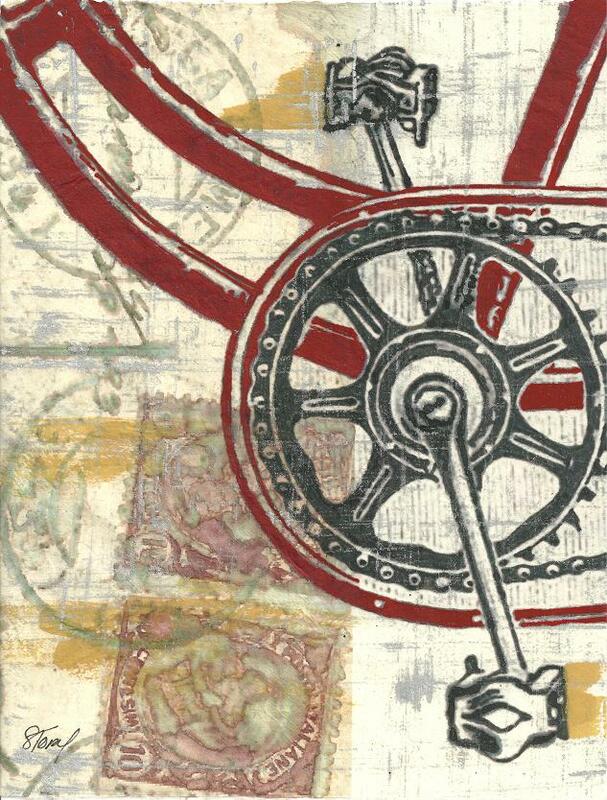 Monotype with ink & watercolor on metallic infused Lokta paper. 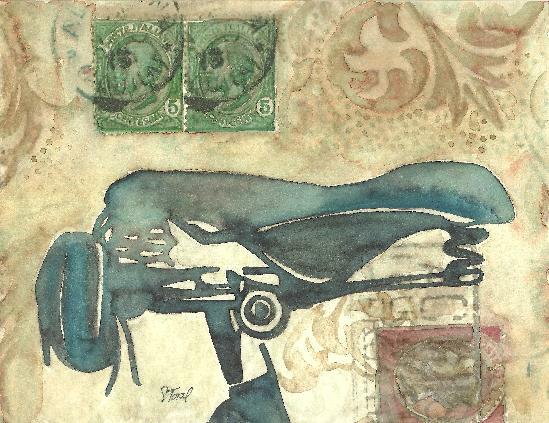 Monotype with ink and watercolor on metallic infused Lokta paper. 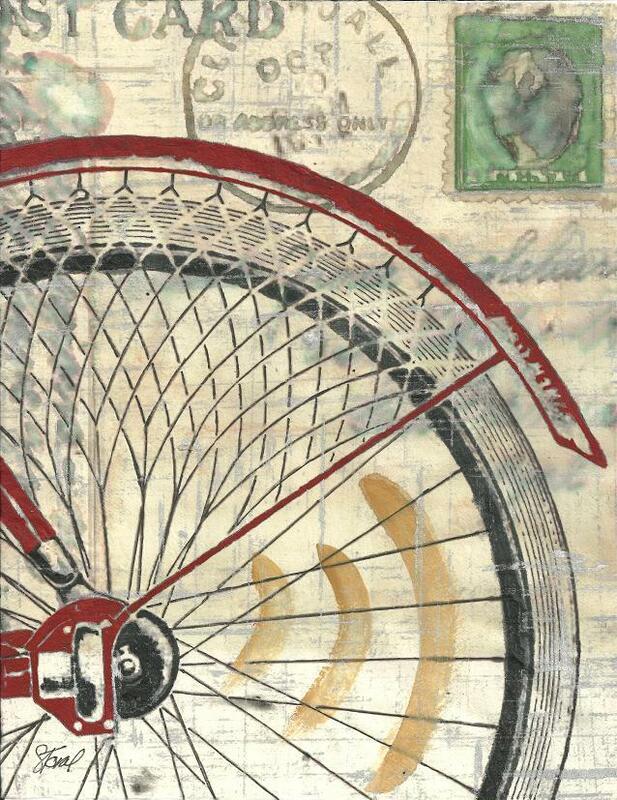 Inspired by vintage bicycles and vintage postage, postmarks and postcards, I created this series of monotypes. 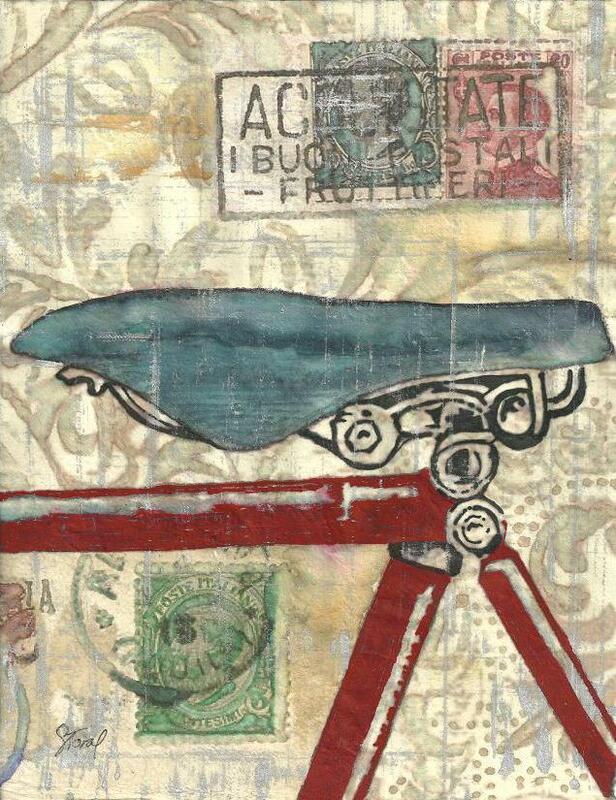 Monotype is a unique process that employs a combination of painting and printmaking techniques. It results in a one-of-a-kind image that is developed on a flat plate with waterbased mediums and transferred to paper.